National Corporate Housing offers uniquely creative solutions for lump sum housing programs. We are the only provider with local teams in over 25 cities across the United States. In addition to our local presence, we have the capabilities to book apartments in all 50 states. We understand the unique benefit of relying on highly qualified local teams and a customized transition experience that helps achieve your business objectives. Expats need someone they can trust when navigating their way to a new area. Whether you are looking for a short commute to the office or a sense of community, we will make your transition a success. Rental Assistance Tool Kit – Self-help assistance in locating unfinished housing in the United States. 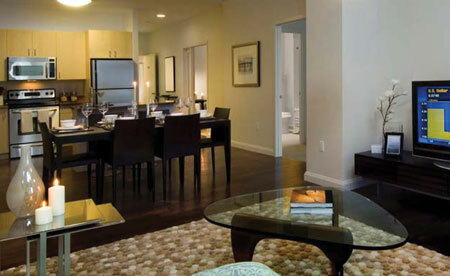 Rental Tours – Personally guided rental tours anywhere in the U.S. for apartments, private homes. Managed customized rental searches for apartments, homes, and condos. Destination Settling-In Services – Ability to provide tours of any type in your area. National Corporate Housing Inc. (National) is a privately held Delaware corporation headquartered in Herndon, VA. 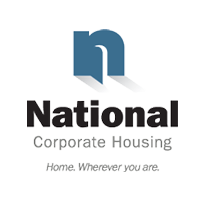 Founded in 1999 by Tom Atchison, whose professional experience spans the hotel, real-estate, insurance housing, and temporary housing industries, National Corporate Housing provides temporary housing throughout the United States, Canada, Asia Pacific, Europe and the Gulf region. What is included in a corporate housing apartment? From housewares and linens to home electronics, every National Corporate Housing apartment comes fully furnished with all the comforts and amenities you’d expect to make you feel at home. To view a complete list of what included in your housing package please view the “What’s Included” list. What is NOT covered under our standard corporate housing package? Long distance telephone calls, premium cable channels, pay-per-view movies, pet fees and damages are NOT covered under your housing package. However, we can adjust your package to include long distance telephone calls, premium cable channels, and pay-per-view movies. Ask your National Corporate Housing representative for more information. Additional fees may apply. What is your process for arrivals and departures? A National Corporate Housing representative will provide “Arrival Instructions” prior to your arrival which will include address, directions, key arrangements and additional information specific to your corporate apartment. We also offer special key arrangements if needed. For departures, a National Corporate Housing representative will send "Move Out Instructions" to each guest prior to move-out which will include detailed information regarding check-out time, where to return the apartment keys and how to clean the apartment. National Corporate Housing allows pets in apartments where permitted by apartment community rules and regulations. A $350 pet fee and additional lease paperwork are required prior to checking in with a pet. Rules and regulations vary from community to community.